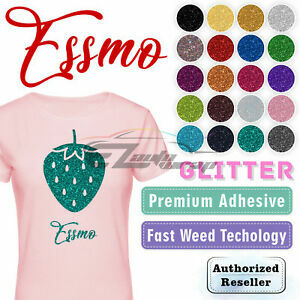 Details about ESSMO™ Glitter Heat Transfer Vinyl HTV Sheet T-Shirt Iron On Press Weed Easy 20"
There are 1,190 items available. Please enter a number less than or equal to 1,190. Great Ebayer!! Very fast shipping. Exactly as described. Love it!! Exactly what i was looking for, great price, fast shipping & top notch service! Great product, can’t go wrong. I’m actually about to buy more.